LOS ANGELES and SAINT JOHN, NB, Nov. 26, 2018 /PRNewswire/ - Civilized Worldwide Inc. ("Civilized"), a leading media and lifestyle brand that embraces and highlights modern cannabis culture, today announced plans to acquire The 420 Games, North America's only events company that shines a spotlight on the complementary pairing of cannabis and athleticism. Both brands have a shared goal of de-stigmatizing cannabis use and creating a new cultural narrative. The acquisition will further secure Civilized's foothold in the U.S., particularly in California, the world's largest, fastest-growing legalized recreational cannabis market. It will also create new revenue opportunities and reach new audiences as Civilized continues along its growth trajectory. The company plans to scale The 420 Games across North America beginning in early 2019. "Civilized has wrapped its arms around a tribe of millions of people, many of whom are 'cannathletes,'" says Derek Riedle, Publisher of Civilized. "By combining the bench strength of our event experts with The 420 Games' established brand and significant following, we can work together to change perceptions and reduce stigma by showcasing cannabis's role in active, productive lifestyles." 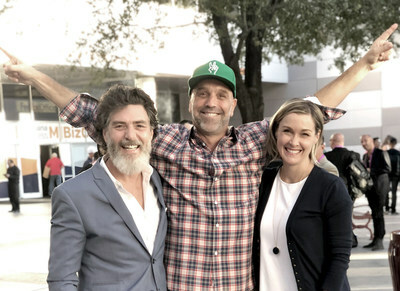 "I started The 420 Games to erase prevalent, untrue stereotypes about cannabis consumers," says Founder, Executive Director and cannabis influencer Jim McAlpine. "Our participants are not only active in their athletic pursuits, but in their communities and their approach to health and wellness. Civilized is creating a movement and leading cannabis culture into the mainstream. Our missions are completely aligned and the synergy of the two brands is undeniable. 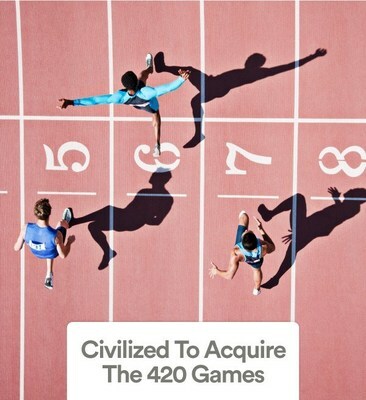 Under Civilized's leadership, The 420 Games will accomplish great things." McAlpine will become a Civilized employee and will remain involved in the event management and growth of the "cannathlete" social movement and de-stigmatization of cannabis led by The 420 Games and Civilized. He is a passionate proponent of cannabis as a viable alternative to opioids, and has been a featured speaker at Harvard Medical School and mainstream events such as the Super Bowl and SXSW Music Festival.